Is it hot, is it cold? It’s cold in the shade but warm if you are standing in the sun. It’s sunny but you’ll still need a coat. So here is another blog post dedicated to Copenhagen Fashion Week. Back from New York and back in our hometown ready to roll with LFW. 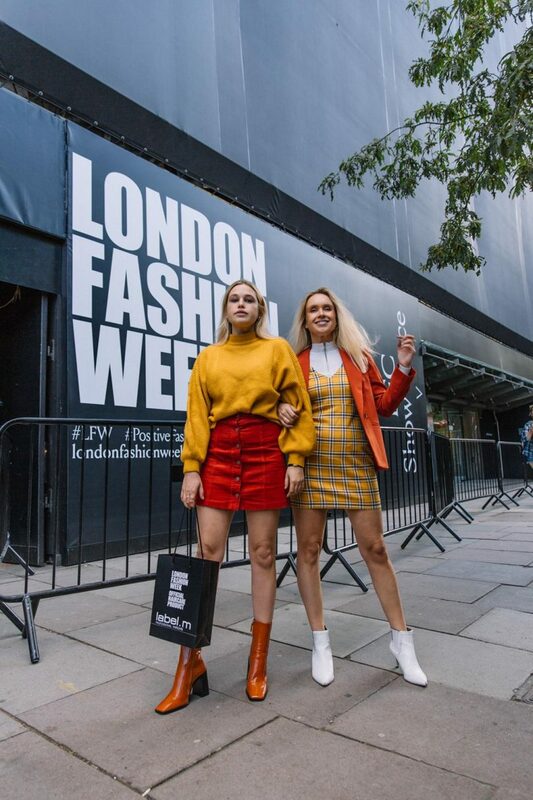 We have always enjoyed LFW so so much and we were super excited to get styling for this season. 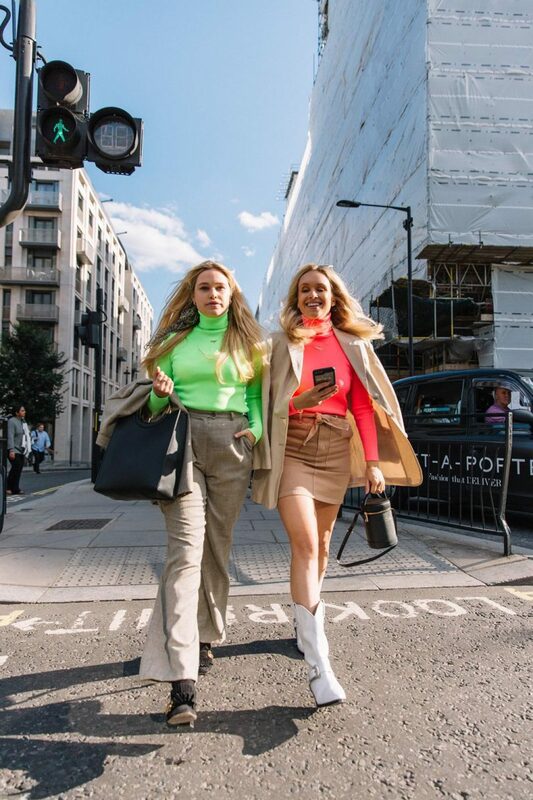 We love everything about Fashion week from the shows, presentations, locations, catching up with friends, gazing at the amazing streetstyle and yes even the busy schedule because nothing can bring us down during this week. Until the week has ended and flu does bring us down. every. damn. time. Anyway on to the outfits and for day one we could not wait to incorporate neon in to our looks after seeing an incredible double neon green and yellow look on the catwalk in New York. We decided to put our neon with beige to make sure it really popped and needless to day we really enjoyed wearing these looks. For the second day we were collaborating with Miss Selfridge and we had a super fun day! Unlike day one we wanted to go fully Autumnal with our tones and so the below is what we went with. It was nice to feel comfy, cosy and chic! Day three and we felt like mixing it up (again) and going full on colourful. 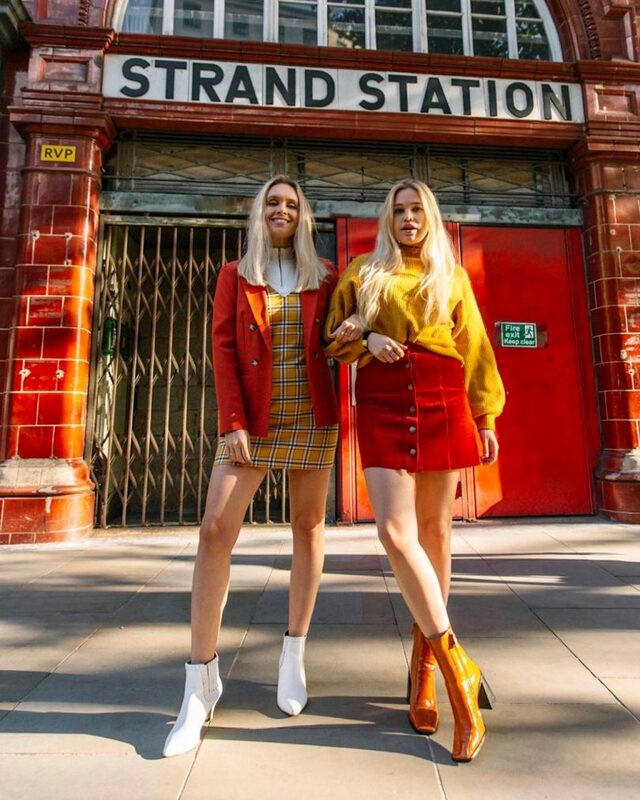 We had been working with The Clck to create some looks using all Topshop pieces which needless to say was not difficult as we love Topshop! We decided the best way to go about it (seeing as we wanted the whole store ) was to choose a favourite piece each and work around it. Alice went for the pink Jacket and Olivia for the White western boots. Of course we could not let another fashion week day go by without being more matchy! These French Connection outfits were so much fun to wear and SUPER comfortable, we felt like we were floating around in PJ’s and dressing gowns! Oh and the lack of high heels come day four was extremely welcome! The final day of LFW was boiling and so we were glad to be wearing just the one layer. For this day we were taking over the Never Fully Dressed Instagram account so naturally were wearing something from their collection. Olivia straight away had her eyes on the Agnes Cheetah Dress and Alice went for the Florence Mustard. These dresses are chic and comfortable with enough detail on them to be different but nothing that makes them too ott. These are the sort of dresses that can be worn for so many occasions from a daytime look with trainers to a wedding. Do let us know if you have any questions or if you had a favourite look!